Fine. Ship within 24hrs. Satisfaction 100% guaranteed. APO/FPO addresses supported. Fine. In Stock. 100% Money Back Guarantee. Brand New, Perfect Condition, allow 4-14 business days for standard shipping. To Alaska, Hawaii, U.S. protectorate, P.O. box, and APO/FPO addresses allow 4-28 business days for Standard shipping. No expedited shipping. All orders placed with expedited shipping will be cancelled. Over 3, 000, 000 happy customers. New. In Stock. 100% Money Back Guarantee. Brand New, Perfect Condition, allow 4-14 business days for standard shipping. To Alaska, Hawaii, U.S. protectorate, P.O. box, and APO/FPO addresses allow 4-28 business days for Standard shipping. No expedited shipping. All orders placed with expedited shipping will be cancelled. Over 3, 000, 000 happy customers. Very Good. 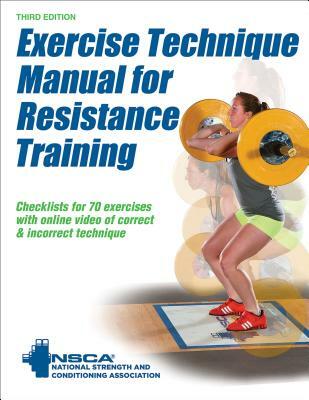 This is a practical resource for current and aspiring strength and conditioning professionals and personal trainers. Visual demonstration of a variety of free weight and machine exercises, the text is a valuable tool for those preparing for certification and for those who design programmes for athletes and clients of all ages and fitness levels.